I noted that Yamamoto's AUM Fidelity albums The Next Page (2012), and Firefly (2013), seemed to be turning points in that the organic blending of her previous work now took on a unique identity of its ownmusic that very clearly had her own stamp on it. I asked what these two albums mean to Yamamoto as an artist. She replied that ..."for me the process of composing, playing, and recording, has been the same for many years. I try to write tunes that capture a moment, whether an experience of nature or a busy city street, or based on an experience on my travels. When Dave, Ikuo, and I play or record, we try to bring the tune to life, as a band. 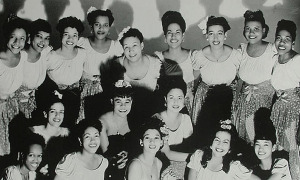 Maybe as the years have gone by, we've gotten a little deeper into our own sound and identity. For me that is a good feeling." 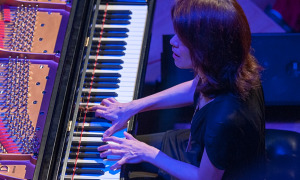 Like many of her contemporaries in creative music, Yamamoto explains that genre has never defined her style: "I was studying classical music, but in Kyoto, I was surrounded by traditional Japanese music with traditional instruments. I especially liked British rock music and world music. 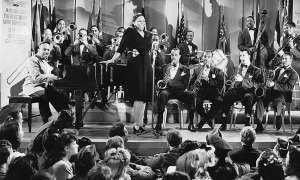 Since coming to New York, I have appreciated such a wide variety of jazz musicians in so many styles, I can't think of genres or categories." 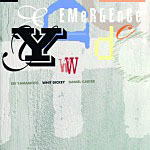 As for the blending of traditional Japanese music and American jazz, Yamamoto had a clear picture in 2017 for a current project. "I'll always be playing trio music, but I'm also thinking about playing more solo piano, which I love to do. Also, in Shiga (where I went to college, five minutes from Kyoto), there is a traditional song that is usually sung by one singer accompanied by taiko drums. I have the idea to arrange this song for choir, so that the members of the community can sing it together, while accompanied by my trio. 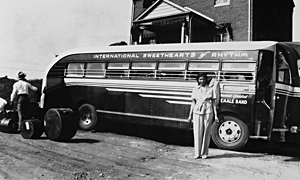 I can picture how the jazz beat will blend with the traditional beat of the folk song. I may very well do more of this kind of thing in the future." That project has manifested itself as the Choral Chameleon Ensemble presentation of Yamamoto's Goshu Ondo Suite, featuring her trio and "Bon" dances -traditional in welcoming the visiting ancestral spirits. Performed in NYC on November 17 and 18, the performance was recorded and will be released at a later date. Yamamoto had previously taken a deep dive into cross-pollinating cultures with compositions that made up the soundtrack to the black and white silent movie, I Was Born, But... (1932) by Japanese director Yasujirō Ozu, whose movie Tokyo Story (1953) was voted the greatest film of all time by a panel of global directors. 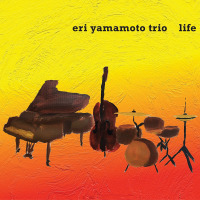 Yamamoto's compositions "Every Day," "A Little Escape," "I Was Born," "A Little Suspicious," "Let's Eat, Then Everything Will Be OK" from the I Was Born, But... soundtrack, also appeared on her trio release In Each Day, Something Good (AUM, 2010). 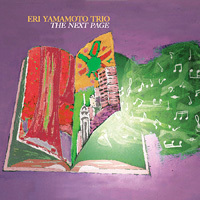 The Eri Yamamoto Trio plays two sets at Arthur's Tavern every Thursday, Friday and Saturday night. The club is located at 57 Grove Street in New York City. 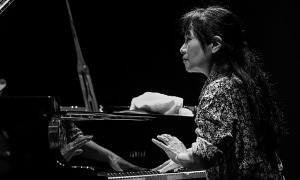 In the conclusion of Big in Japan we will look at the remarkable career of Tokyo avant-garde jazz pianist Satoko Fujii whose benchmark 2018 has been a monthly celebration via an unusually diverse set of releases. 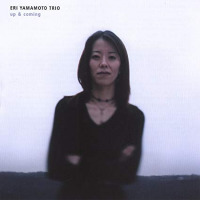 With her early trio, including John Davis on bass and drummer Ikuo Takeuchi, Up & Coming (Jane Street Records, 2001) was Eri Yamamoto's first release in the U.S. 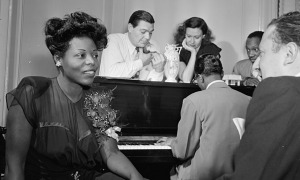 Even at this initial stage of her recording career, it was clear that the pianist had already found the means to express her unique musical views. 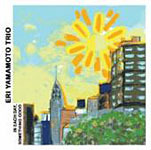 Having recently set down roots on the New York scene, Yamamoto had been exposed to influences as diverse as Tommy Flannigan and Matthew Shipp but one can hear Andrew Hill and Bill Evans as well. All those points of reference signal the contrary pointYamamoto's style is her own. Her straight-forward melodies are regularly toppled by surprising time changes and odd phrasing. Yamamoto's tenth release, Life (AUM Fidelity, 2016) reflects deep connections to her adopted home in New York. The musicnew compositions and two re-workings of her older pieceselicits a range of sentiments from cheerful enthusiasm to meditative, all with the vitality of the city. Ambrosio and Takeuchi are, by now, extensions of a unit that functions in the most symbiotic manner while leaving plenty of room for self-expression. For a trio that determinedly avoids pyrotechnics, they execute endlessly cliché-free and inventive tunes that lodge themselves in the memory.